Capital One is among the most popular and diverse credit card companies in the world. They issue cards with both the Visa and MasterCard labels, aimed at business owners, consumers, frequent flyers, students and even people trying to rebuild their credit. 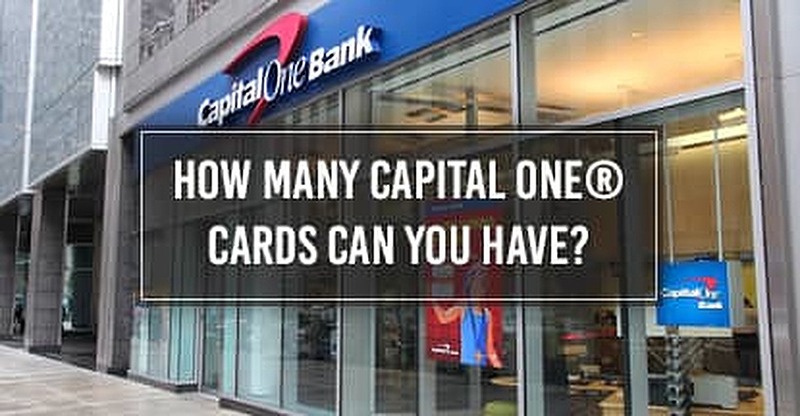 Of course with all of this popularity come a few questions about the rules and restrictions Capital One may set for their credit cards. Capital One limits the number of directly issued cards available for any cardholder to two. While this is a fairly straightforward policy, it has caused some confusion among consumers, as some Capital One cardholders claim to have three, four or even more valid cards in their wallets. There are a few explanations for this apparent discrepancy in Capital One’s rules. When the rule limiting cardholders to two Capital One cards was implemented around 2011, members who held more than two cards at that time were allowed to keep them. Some cardholders had credit cards issued by banks that were acquired by Capital One (Chevy Chase Bank and HSBC to name just a couple). Cardholders were allowed to keep these cards even as they were reissued with the Capital One logo. Some co-branded store cards for retailers, like Saks and others, are issued by Capital One but don’t count in the two-card limit. The same is true for secured credit cards issued by Capital One. When we talk about co-branded credit cards these are usually partnerships between a retailer, airline, or other business and the issuing credit card company. The purpose of these cards is for retailers to take advantage of brand loyalty and, in return, to give cardholders rewards in the form of perks at that retailer. These are just some of the ways in which someone might end up with more than the limit of two Capital One cards in their wallet. However, try to get more than two Capital One direct-issued credit cards today, and you’ll be told no. If you’re looking for a second Capital One credit card to complement one you already have, there are quite a few to choose from. Whether you’re looking for unlimited reward points, a 0% introductory APR, or a cash-back bonus on all purchases, there’s a Capital One card that’s made just for you. According to a survey by Gallup, the average American carries two credit cards in their wallet. This includes cards from the major networks like Visa, Mastercard, Discover and American Express, as well as closed-loop store credit cards. So, what’s the “sweet spot” for how many cards we should carry? Unfortunately, there’s no one right answer. The number of credit cards you should carry depends on your personal spending habits — and your personal financial habits. If you’re someone who can responsibly use multiple credit cards, including paying them on time each month and keeping balances low, then there’s no real limit on how many credit cards you can have. On the other hand, if credit cards entice you to spend more than you normally would, you have problems paying multiple cards on time, or you tend to carry a balance on your cards, then you may want to limit the number of credit cards in your wallet. We Americans love our plastic. We love the convenience of making quick purchases anywhere, we love the benefits of all the rewards programs, and we love the flexibility of using different cards for different buying situations. And even if you can only carry two Capital One credit cards, there are other reward cards and co-branded cards you can get that have the same great benefits from the same great credit card issuer.